First Year Anniversary as an Active Blogger! 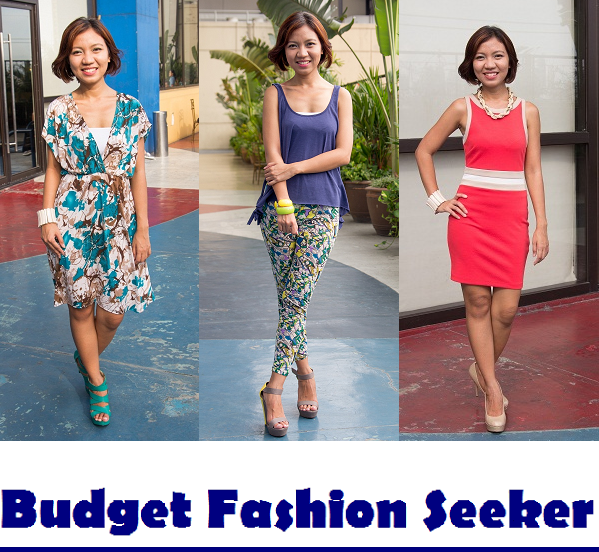 The Budget Fashion Seeker was conceptualized and created in August 2011. This is actually my second blog related to fashion and my initial intention was just to share with you the things that I buy that are budget-friendly, given the fact that most of the fashion bloggers I know features mostly high end brands. But then goal was not that solid that time that I ended up not knowing what to post anymore. It was just a year ago (I can't believe that this blog was sustained that long!) when I decided that I want to be an active blogger again so I can share certain ideas that I have in terms of dressing up, which will not hurt their wallets much. Twelve months and I couldn't have done it without the help of my fellow bloggers that are so friendly and encouraging as well as all the readers who have been visiting my blog all this time. I know I have been missing in action for the past month but starting today (I have lots of reasons but I don't want to focus on them anymore), I will do my best to write as frequent as I can in this humble space. And as my way of saying thank you to all my readers, I will be giving Starbucks gift certificate worth Php200.00 to the top commenter for the past year. I know that it is only a small amount but I hope that the one who will get this will feel how grateful I am for all the good insights that I received in this blog. I will be using a widget to get the name of the winner and I will announce it by Monday, April 14. Again, thank you so much to everyone who've been very supportive of my blog. I hope that you will still join me as I try to seek for more affordable items and hunt for those stores with sales this 2014! I'm always happy to be your Budget Fashion Seeker. Awesome day to all! Hi Emily! Thanks for dropping by :) Yes, I just had some certain issues but I really missed blogging so now I'm back! Beginning to wonder where you were. Hi Rae! Yeah, i think my last post was a month ago :( i feel sad for neglecting my blogger duties but then I will make up for it from now on. I will visit your blog more often too. I love your purple lipstick btw :) thanks for visiting! Haha, that's ok. :P I was going to ask where I could buy a casual wedding dress. YOu're the only budget fashion blogger I know. Kaso, sa sobrang frustration, bumili na lnag ako ng huling nakita ko. Forgot you were on twitter. Sis Sally, congratulations and happy anniv! I am so happy to have met you. Here's to more blogging years and wishing you inspiration, blessings and love!